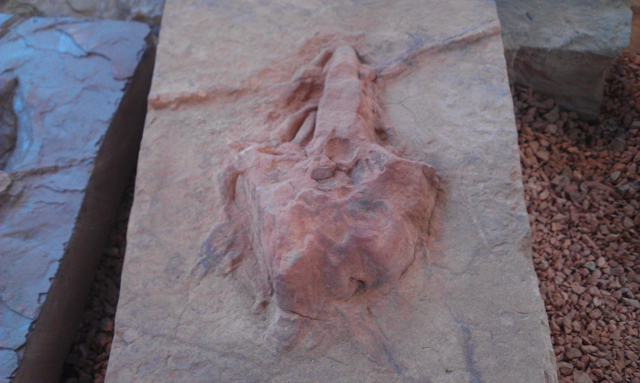 HUMOR – What do “dilophosaurus” and spring break have in common? Both have gone extinct in St. George. Ironically, dilophosaurus was the first documented life form to spend spring break in St. George. Almost 200 million years ago, when everything the eye could see was covered by an enormous body of water named Lake Dixie (a stroke of pure creative genius by the Naming of Ancient Water Bodies Committee), droves of dilophosaurus teenagers came to Lake Dixie to work on their tans and pick up other dilophosaurus of the opposite gender. The local dinosaurs were overwhelmed. Never mind the boost to their local economy, the dilophosaurus were immodest and undisciplined. They had to be stopped. So the locals devised a plan. They would rid themselves of dilophosaurus once and for all. They decided to charge a $20 entrance fee to the lake, they would refuse to sell water bottles in the Jurassic gift shop and, most ingenious of all, they required that the young dilophosaurus be chaperoned by an … elder dinosaur. Documented history is scant as to what happened next, but it seems that the dilophosaurus did not fancy the new conditions and left for good, leaving behind only their footprints as a farewell gesture, immortalized forever on what was then the bottom of the lake. Spring break in Southern Utah remained largely nonexistent, or at the least undocumented, for the next 200 million years until one day settlers from The Church of Jesus Christ of Latter-day Saints arrived. It was then the mid-1800s and those pioneers planned city streets 90 feet wide, streets wide enough for a wagon rigged with full team of horses to make a turnaround without the need for a roundabout. Teen pioneers cruised the street, First North, with ease; they congregated on the sidewalk in front of Larsen’s Frostop – okay, there may have been neither a sidewalk nor a Frostop in those days but we can be sure they congregated, congregate they did, they had nothing else to do. The two-mile strip of road that is St. George Boulevard – which most residents go to great lengths to avoid driving on in the first place – became choked with thousands of teenagers and nonteenagers who couldn’t afford to go to Daytona Beach. It was quite the scene. What began as a fun activity for teenagers quickly turned into a menace for police officers and teenage girls who did not appreciate being groped. It didn’t take long for city officials to take a cue from the local dinosaurs of old and crack down on the modern day dilophosaurus shenanigans. Again, they passed ordinances. Again, they instated curfew. And again they barred visitors under 18 from renting hotel rooms. Even the county school district got in on the effort – at least according to this author’s dim recollection – moving the annual spring break holiday to a week that didn’t actually coincide with spring. Since the crackdown, spring break in St. George has become a relatively low-key affair; where are the footprints of those modern day dilophosaurus of the ‘90s? I expect they are in some other town, some other place, living it up and laying down some cash. This coming week, March 12-16, marks this year’s not-quite-spring break and I know how I’ll be spending it: reliving spring break past by hitting the dinosaur museum and loitering in front of Frostop. Elise Haynes chronicles family life in her blog Haynes Family Yard Sale. The opinions stated in this article are solely her own and not those of St. George News. Yea so much for the STG being Utah’s Mardi Gras hot spot, even once making headlines on MTV as one of the top 30 cities for springbreak in the country! 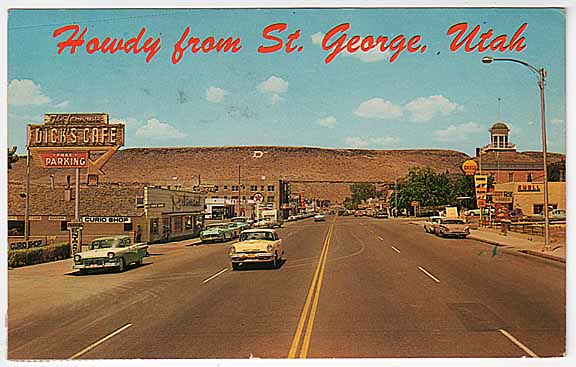 What kills me is when springbreak was a big hit here, there really never was any major crimes or disturbances to justify depleting springbreak crowds along the St..George Strip. Infact the overwhelming police presence brought in from the Wasatch Front was ridiculous. Imagine how the hotels and the city in general could sure use the economic boost today that once occured annually from the thousands of teens and young adults in town. . The last thing STG needs is the old crowds from the Spring Break days. Currently the city hotels are booked solid through the weekends in March with baseball, softball, soccer, and other activities that bring in more people who spend more money than the kids back in the day. Let them go somewhere else and trash their streets. STG doesn’t need them.